This application is for new graduate RN's who are currently in their final semester of nursing school or who have graduated within past 12 months and/or worked as a RN for less than 6 months. The hiring date will be Summer 2019. Schedule 7am - 5:30pm, 9am to 7:30pm and other off shifts based on experience and the needs of the department. The Operating Room is a very fast paced environment consisting of three sites (Main, Ambulatory Surgery Center, and Hillsborough Hospital) There are in total 47 room environment which offers every surgical specialty. We are operational 24hr/day, 7 days per week. Specialties are divided into teams with manager- level coordinators. 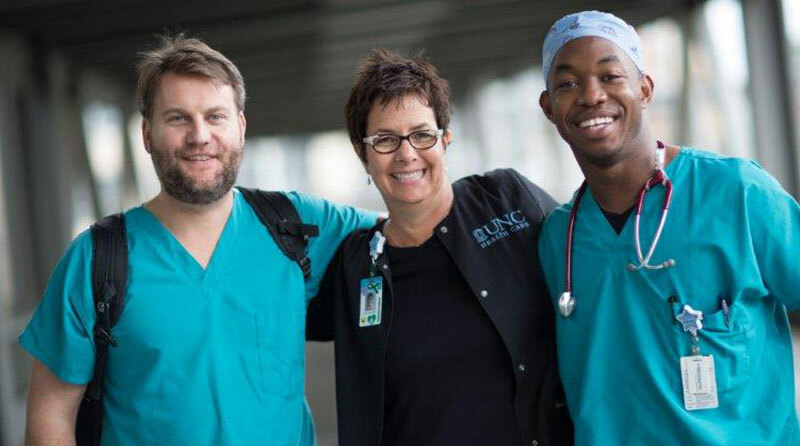 New graduate nurses are part if the OR Residency Training Program. Our training program offers a six month didactic classroom and hands on didactic experience. Residents are expected to complete classwork, homework, assignments and evaluations throughout the program. Each resident will spend 5 weeks in a classroom setting and then rotate a minimum of three weeks in each specialty team learning to both circulate and scrub various surgical procedures. Team specialties for final assignments will be determined during the last clinical team rotation. Orientation may be lengthened at either the residents or departments request. If accepted into the program, you will be asked to sign a OR Residency Contract to include a total work commitment of 130 weeks. This commitment includes orientation and education/training hours. At end of program, scheduled work hours will be adjusted based on final and location assignment. New Graduate Nurses are also a part of the UNC Medical Center Residency program (NRP) This yearlong program is in conjunction with the OR Residency Training Program and offers support to new graduates who transition from academia to practice and to provide mentored clinical relationships which support development as a professional nurse. Graduation from a state-accredited school of professional nursing. If hired after January 6, 2014, must be enrolled in an accredited program within four years of employment, and obtain a Bachelor's degree with a major in Nursing or a Master's degree with a major in Nursing within seven years of employment date. Licensed to practice as a Registered Nurse in the state of North Carolina by the day of clinical care. Basic Life Support (BLS) for Healthcare Provider certification.